New guidelines have been released by the Royal College of Psychiatrists that aim to reduce the current threat of alcohol related brain damage to older people and the rate of suicide among this age group. The post-war baby boom generation reaped the benefits of a new NHS and the plentiful food supplies afforded by the Common Market. In the first few decades after the Second World War, consumerism flourished and people were wealthier and healthier than ever before. Now, having experienced the swinging sixties, the economic changes of the seventies and the technology explosion of the nineties, an increasing number of that very same generation are now at risk from drugs and alcohol misuse and the health and social effects that go hand-in-hand with addiction – social stigma and isolation, poverty, and physical and mental ill health. Alcohol misuse is inextricably linked to ill health and to self-harm and suicide. Its misuse is associated with both depression and anxiety, and because intoxication itself reduces inhibitions and increases impulsive behaviour, heavy drinking can even facilitate suicide. In 2012 the 80-84 age group had the UK’s highest suicide rate, with over 20 per 100,000 people taking their own lives. The ‘baby- boomers’ born between 1946 and 1964 have the highest suicide rates at any age than any other generation. Although the damage caused by alcohol to the brain may be less well documented than alcohol-related liver disease, bowel disease or circulatory problems, alcohol-related brain damage (ARBD) nevertheless devastates lives - and older people are particularly at risk. 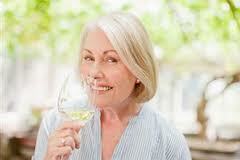 ARBD includes alcohol-related brain injury and alcohol-related dementia. It can affect memory, judgement and reasoning, problem solving skills and understanding. Currently, the highest prevalence of ARBD is found in the 50-60 age-group. While some people of this age may be at the height of their career and others enjoying a healthy and happy early retirement, people with ARBD may already need support from health and social services. They may need this support for the rest of their lives. Older people are entitled to the same standards of care available to younger people with substance misuse problems. Many already struggle to manage financially on their pensions, and an addiction can be expensive, leaving them unable to properly take care of their housing, food and heating needs. Preventing problems from arising, and implementing effective local processes for dealing with them if they do, will give older people the support they need to recover from a drink or drug problem. Fewer older people will develop physical and mental illnesses related to alcohol or substance misuse and more will be cared for in community settings by a team dedicated to - and with an expert understanding of - their health and welfare needs.